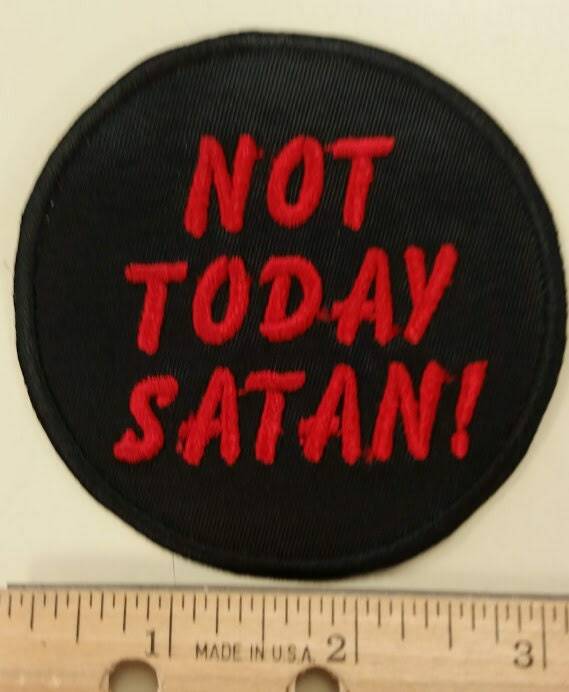 This patch is embroidered with the saying NOT TODAY SATAN! 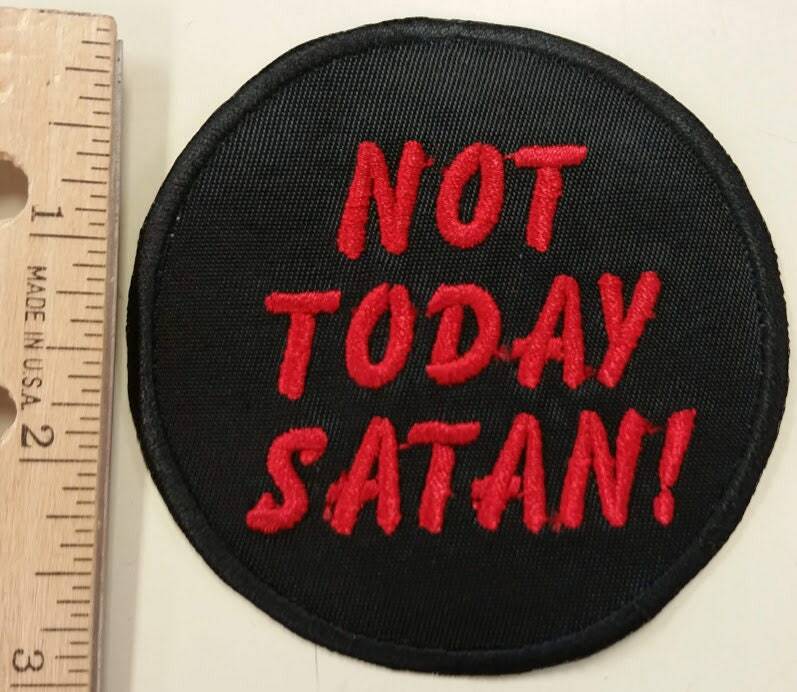 in red thread onto a black patch with black outline. It measures approximately 3" in diameter and is coated with an iron on adhesive. 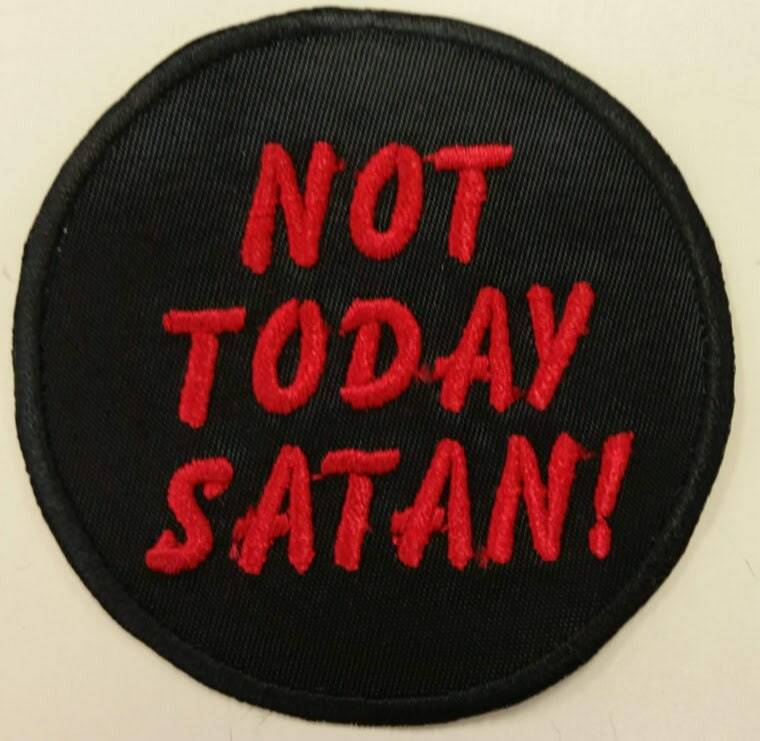 The patch will be mailed to you 1-5 business days after you purchase them. First class USPS shipping for United States customers. Exactly what my daughter wanted. 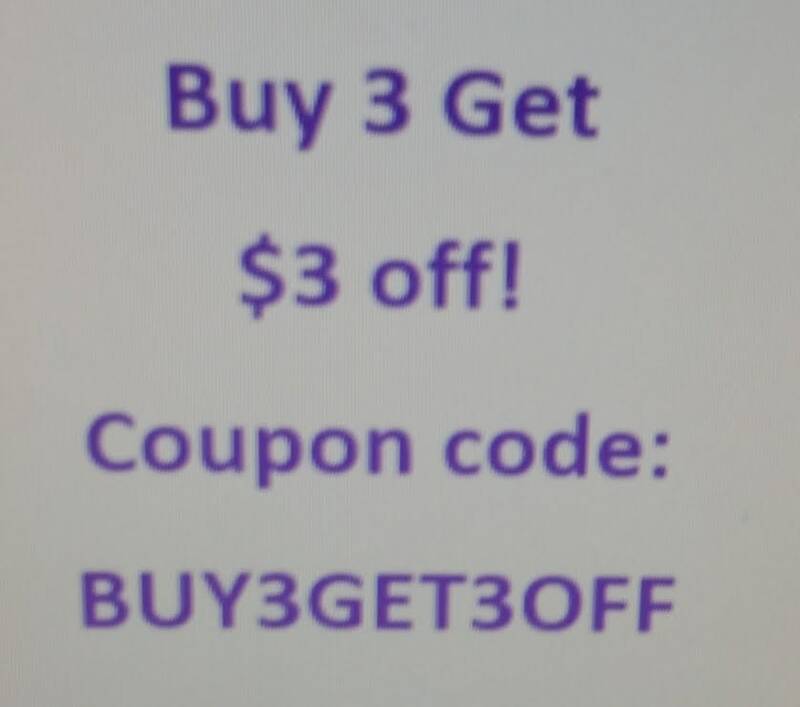 Great quality and quick delivery too. Thank you!